This is the first of two-part guest post by Bryan Stoudt. Visit Bryan’s website at the link found in his bio at the end of this post. You can find the second part here. Our special needs kids have a special place in our hearts. Each one is precious and unique, placed in our families as a vessel of God’s grace. 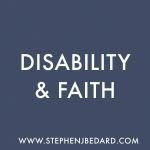 At the same time, our special kids bring special challenges that push us beyond what we thought (or think) we can handle. And the life we would design for ourselves. Sometimes it’s easier to disengage and take an unplanned siesta. I bet you can identify with me. After more or less coasting with our autistic son, Matthew, for the last several years, things are changing. We need to step up our involvement and help him get ready for life after school. There are days, honestly, where I simply don’t feel like it. Just recently, I told my wife about an email exchange with the attorney helping us secure guardianship for Matthew. When it became clear that I was frustrated with all the time it was taking, and had missed an important detail, she expressed concern. You could have heard a pin drop in my heart. She was right. God is calling me to slow down, engage and make some sacrifices for our son. But it’s hard, and selfishly I don’t always want to. I’m not sure what challenges you’re facing with your special needs child. Each of our kids is so different. And each of us is so different. Some of you, like me, may sense that God is calling you to get back in the game. Some of you are giving all you can, but feel exhausted and tempted to give up or step back. Staying engaged with our kids for the long haul can feel like running a race we haven’t really trained for. It’s a challenge for at least three reasons. 1 – It takes a lot of time. 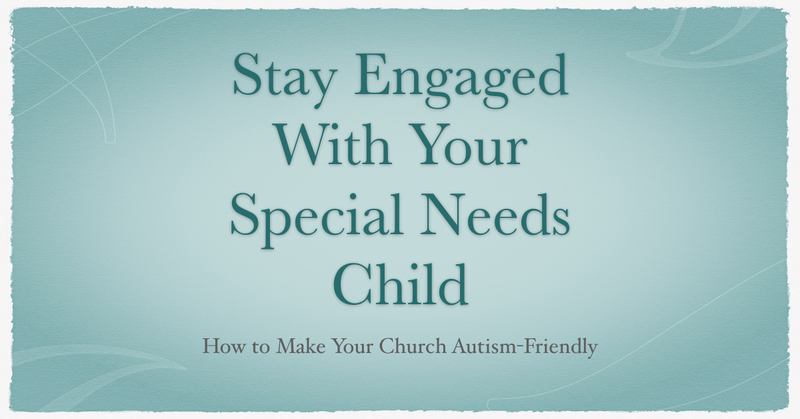 The details of caring for our special needs children can consume a lot of time. Time that our other kids don’t require. 2 – It can feel overwhelming. Caring and planning for our special needs child forces us to learn new things and gain skills. Few of us, for example, have experience with the particular laws and government resources that apply to our child’s situation. While others are often available to help, there’s a certain weariness that comes with taking on something unfamiliar, especially when that happens on multiple fronts. Venturing into new territory also brings us face-to-face with our insecurities and fear of failure. If we focus on ourselves, rather than leaning into God, we will wear ourselves out with burdens we were never intended to carry. 3 – It forces us to face, yet again, deeply painful realities. The grief that accompanies staying engaged with our special needs children is not paid in full at the time of their diagnosis. No, it’s paid over time, often in moments we can’t anticipate. I love Matthew deeply. With all my heart. He is created in God’s image (Genesis 1:27) and as deeply loved as my other kids. But he is not the son I had hoped for. Many years ago, friends of ours stayed with us during a visit to the area. They have a son Matthew’s age, and at one point he took a model sailboat off our bookshelf and began describing it to me in detail. I can remember – like it was yesterday – thinking, ‘this is what it would be like if Matthew was a normal kid’. His ability to communicate was so far beyond anything Matthew would ever be capable of. It was all I could do to not break down right there in front of everyone. If you have a child with special needs or autism, you have experienced the death of dreams for him or her, too. And the kind of relationship you desperately long for. That aches in a place no medicine can reach. But if we’re even more honest, our special needs kids force us to face an even deeper, more painful reality. That God is not the God we had hoped for. A God that allows heartbreak not just in general, but for us in particular. A God who has the authority to let everything good disappear from our lives (Job 1-2), or, to even cause hardship and disaster for his own wise, mysterious purposes (see Lamentations 1:1-16). A God who refuses to answer all our questions. Like why he allowed our child to have special needs. We have learned very personally, like Susan and Lucy from CS Lewis’s Narnia, that while God is ‘good’ he certainly isn’t ‘safe’. At least not in the sense of giving us what we want. All this can seem rather depressing. And tempt us to check out and just survive. To disengage, and keep our distance from a life we never really wanted. But as sons and daughters of our Father, we know that life, however hard, is truly found in Christ (John 1:4, 14:6). And in staying present and engaged with our special needs kids. In the second, final part of this mini-series, we’ll take a look at 6 practical ways we can do that. 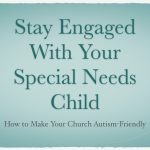 Where are you specifically finding it hard to stay engaged with your special needs child (or children)? Be watching for the second part of this post. 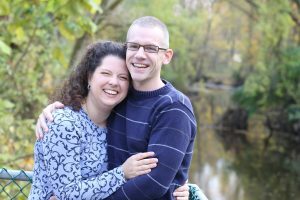 Bryan Stoudt is a pastor and blogger who helps Christians connect their faith to their messy, everyday lives. He has an incredible wife, Sharon, and four beautiful children including Matthew, who has moderate to severe autism. He writes at bryanstoudt.com.